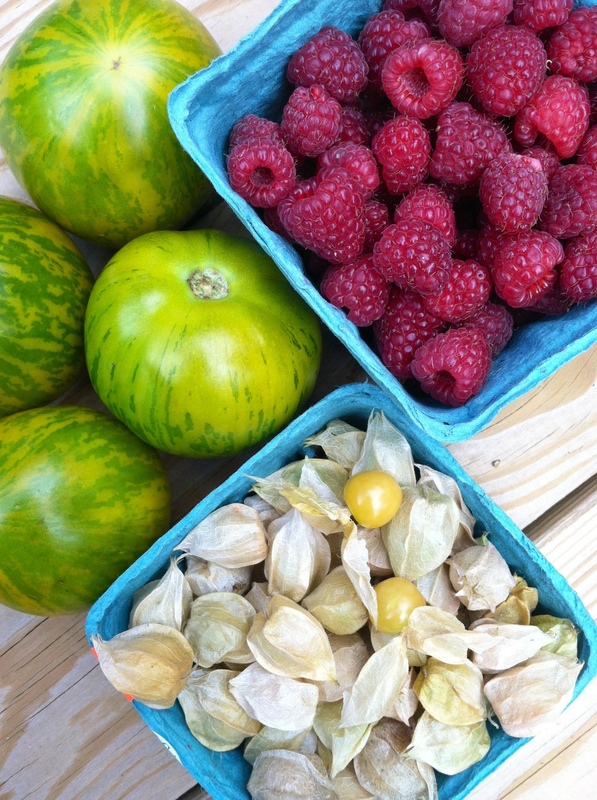 Husk Cherries & other fall flavors. [pie style] | Eat More Plants. I got so many beautiful things from the farmers market today. Truth be told, I don’t always go with something particular in mind but today I did. Pie! 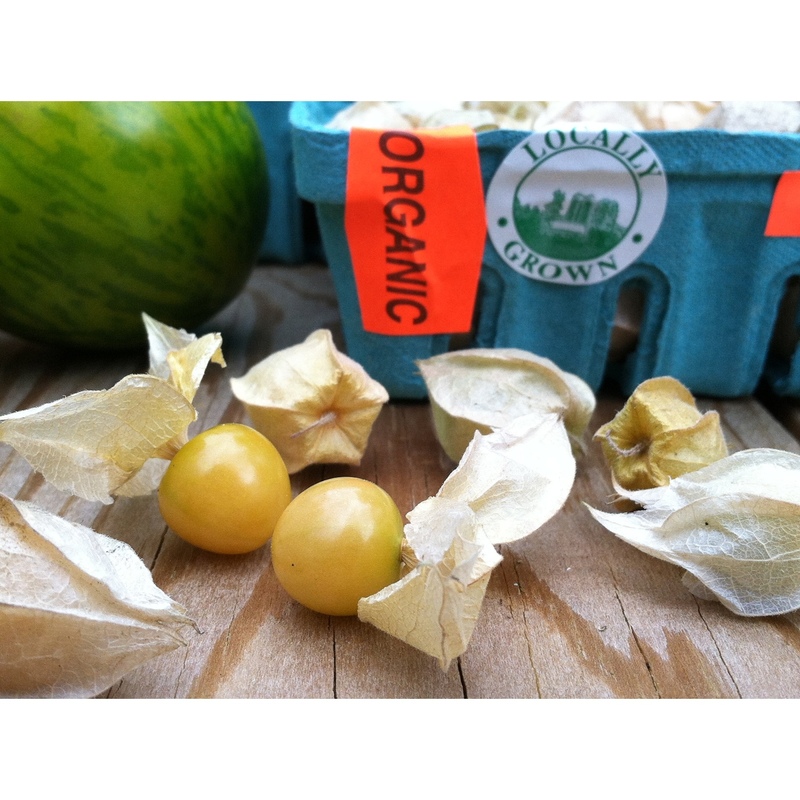 I bought husk cherries, or ground cherries, from the co-op the other day and I was mystified as what to do with them. I’ve bought them before and just picked at them or threw them in my salad but this year I was in a pie mood. Husk cherries are really interesting. They look like tiny tomatillos. The flavor is hard to describe: sweet tomato-y, vanilla-ish and something else I can’t quite figure out. I like them though. So I used my go-to crust recipe for a classic apple tart, here, and molded it into a few 6 inch springform tart pans. 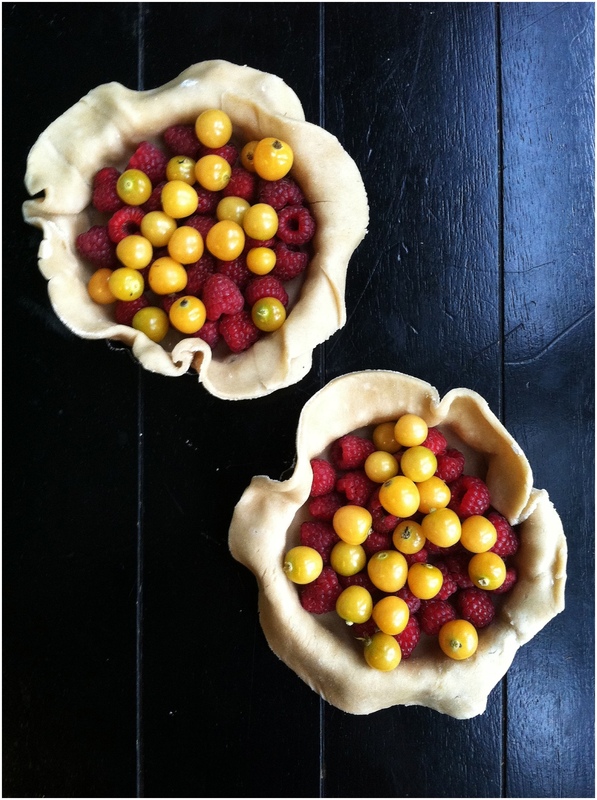 I poured in a handful of raspberries and husk cherries and sprinkled a few teaspoons of raw sugar all over them. Baked them at 400 degrees F for about 35 minutes, maybe 40 at most. I really loved the way these came out! I made them pretty rustic, just folded the extra crust over around the outside, nothing fancy. 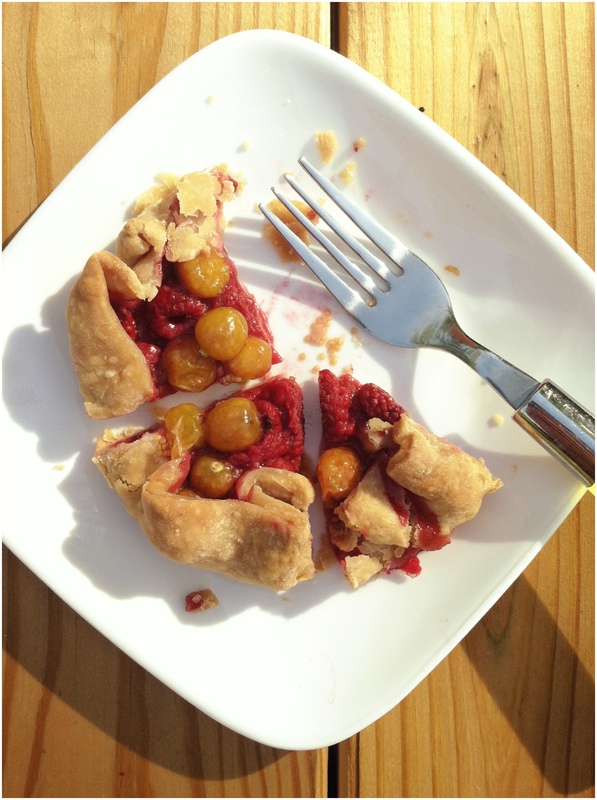 The taste of the raspberries and the husk cherries together was a perfect combination. I will definitely be making these beauties again! 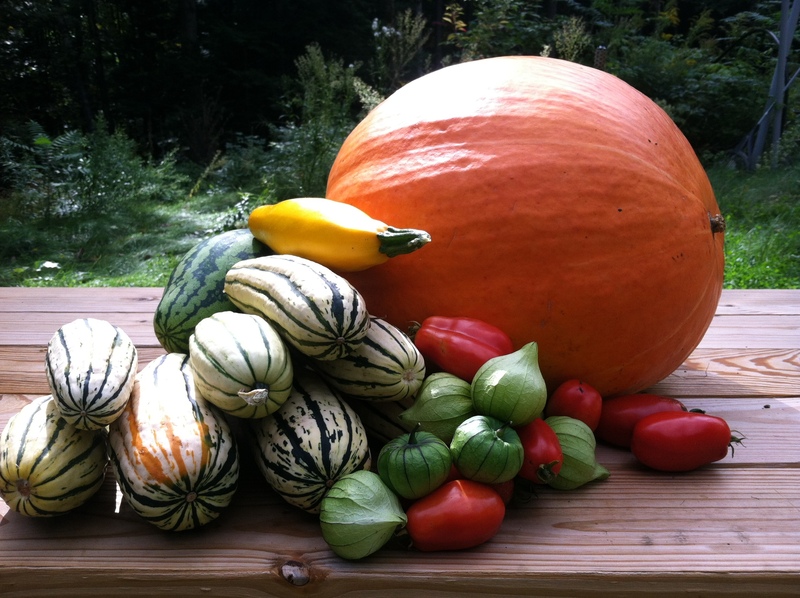 A 50 pound pumpkin, tons of delicata squash, watermelon, tomatillos, tomatoes and a stray yellow summer squash that was hiding beneath the overgrown kale. I hadn’t seen these cherries until this year. 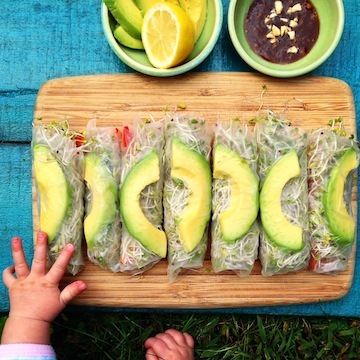 Definitely need to try them. They look interesting. In NZ we call these Cape Gooseberries, not sue why! They are delicious and make lovely jam with ginger.